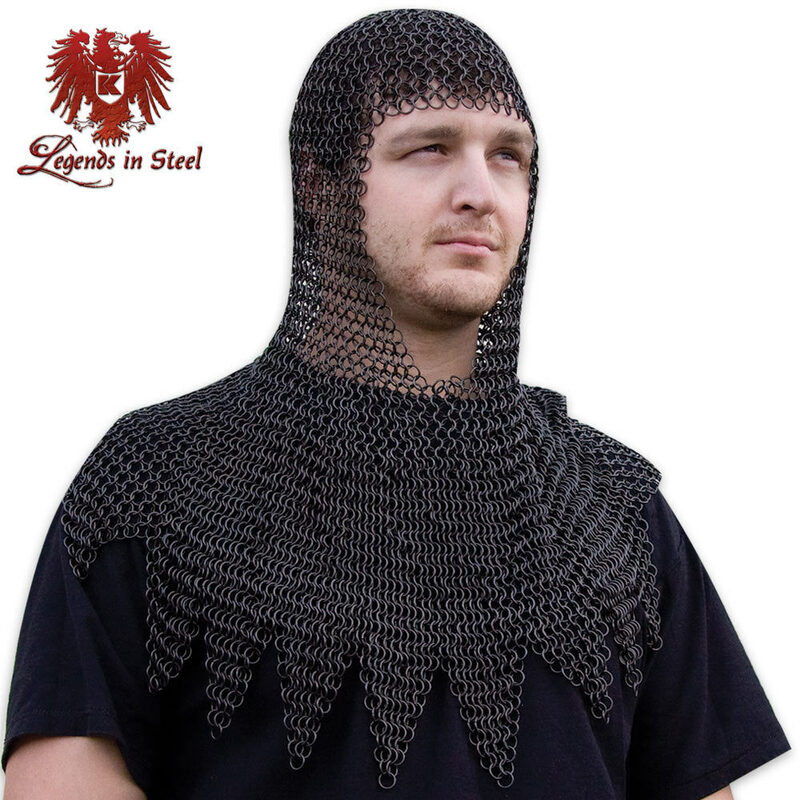 This is a battle-ready medieval chainmail coif. The rings are made of 18 gauge zinc-plated steel in the traditional 4-in-1 link pattern. It will comfortably fit most head sizes. It is a great piece for collectors and medieval reenactors alike. I could not be happier with my purchase of the chain mail hood. It was received promptly and was slightly oiled for delivery. It came with instructions as to how to remove the oil which I followed. I am very happy with my purchase however, my wife thinks I'm nuts! Thank you.